I have dry skin so I don’t use a facial wash in the morning, just rinse with water and then this to gently wipe off any surface dirt. Highly Recommend Love the products! Will purchase again. Love the products! Will purchase again. Great product. Item was well packed. Item was packaged nicely and bubble wrapped. 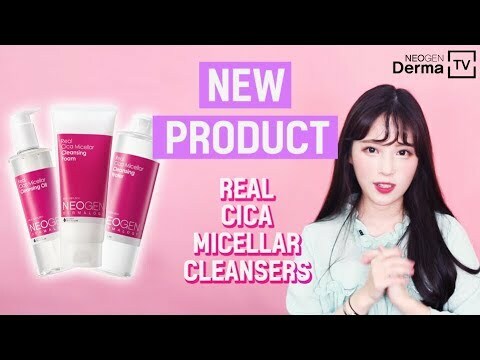 I've been a user of Neogen exfoliator pads and CICA is a new product for me to try. Came nicely packaged. The cica pads are very moisturising and gentle on my skin. Recommend this to those with sensitive skin! Repeated purchase, will continue buying if pricing is kept competitive. Fast delivery and item is well wrapped. The item was well packaged, after 4 days of usage, I noticed that my pimples occuring rate decreases alot. The smell wasn't exactly green tea, more like a natural plant smell. After using my skin texture really improved. Will continue to get another 2 more bottles, going to try the cranberry and rice flavour. Received in good condition, yet to know if it's good? Hi, I just received the cranberry face wash. But where is the expiry date written? I can't find it.